Recently I was asked to contribute to an article about the use of gamification in advertising. With the help of our new intern Sofia Usman I did some research and found some interesting case studies. Word about gamification is spreading and of course the marketing and advertising industries were quick to adopt gameful design. Companies have adopted strategies to use gamification in advertising and marketing their products. Big brands like McDonalds, Adidas, Nivea and Nike have created several ads that use games, VR, AR and are much more interactive than traditional advertising. Two such recent examples from 2018 include Nike ‘REACT LAND’ and Kate Spade’s interactive mobile app. Nike wanted customers to test the features of their recently reinvented cushioning technology. 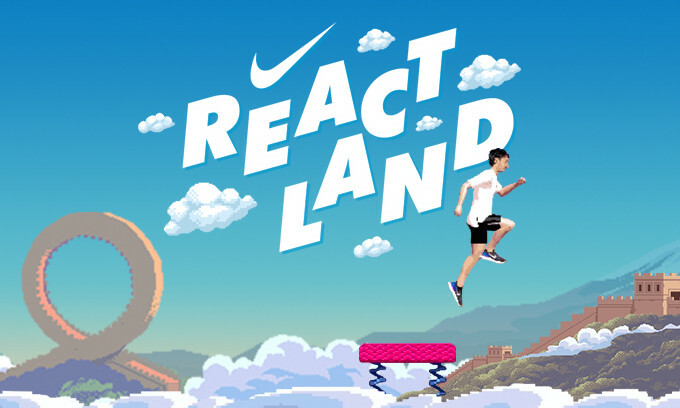 Nike named their new shoe ‘Epic React’ and created a game named React Land to promote this new line of shoes. They created an experience for their customer that combined traditional in-store trial of wearing the shoe and motion gaming. After putting on a pair of Epic Reacts and creating an avatar, customers are transported to React Land, a virtual world where they need to navigate as the main characters by running on a treadmill and using a handheld button to jump. In the 3-minute game, players can choose to explore a floating metropolis in China, a super soft panda land, the Fuji Mountain, a view of Santorini, a jumping frog in France and many more. This is a great, innovative idea of using gamification taken up by Nike to attract customers and we quite liked the combination of physical and digital elements of interaction with the customers. Another interesting case study is that of Kate Spade. Kate Spade is a brand that focuses on selling high quality female clothes and accessories. They focus on the great style and quality of their products as well as the elegance of the designs. 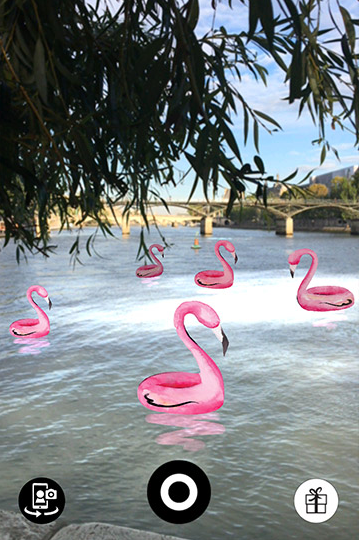 What they did to promote their brand and at the same time add value to their customers is make an interactive GPS based mobile app where Paris is seen in an augmented reality experience that adds a little colour and filters to your photos. They worked with My Little Paris which is a website specialising in all things Paris to tell the city's story and guide the players through it's interesting parts. Players would go on a treasure hunt around the city to find out more about this beautiful city. This creative and interactive feature is made possible through Tapage, an app that gives directions of locations around the city using GPS. The downside of this is unfortunately it only works in Paris. This imitates the features of snapchat filters that show bitmojis. Kate Spade New York - Joy Walks in Paris from Zappar on Vimeo. What can gamification add to advertising? I believe that there is a strong trend in advertising to make things more interactive. The days of passively watching ads on TV are long gone and brands need more interactive ways to engage people. It will take time for this notion to spread among all the major brands but at some point i think it will. Gameful experiences as a great way to involve your customers in your advertising and facilitate an interaction that makes the whole experience more interesting and fun is a great idea and I am sure they are many ways to do it with smaller budgets than Nike or Kate Spade. If you have any ideas on how to create more interactive advertising with smaller budgets let me know! Let's keep the conversation going on Twitter!